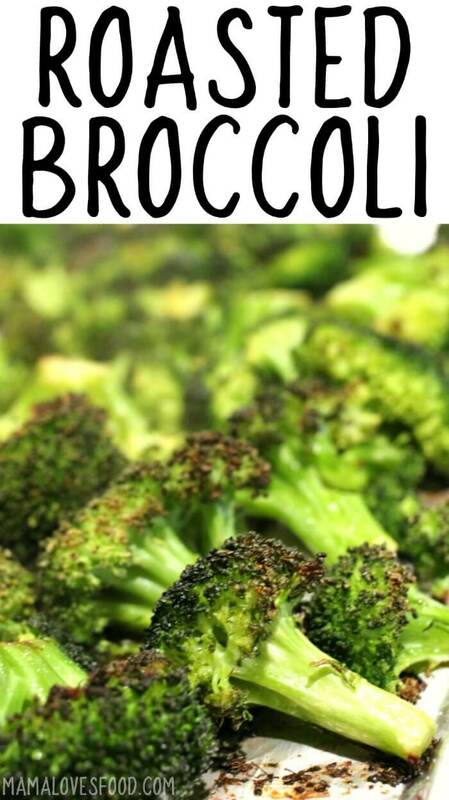 Roasted broccoli is hands down, my kids favorite vegetable, possibly mine as well! Roasted broccoli FTW! First it was the Roasted Asparagus, and now the Best Roasted Broccoli EVER. And if we’re being honest, it’s another recipe stolen from a friend. 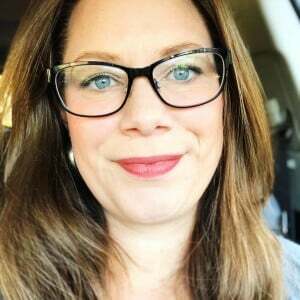 My gal pal Stacy had us over for dinner and I seriously would’ve eaten the entire dish if there hadn’t been other guests around. As it was, I demanded the recipe and made it at home the next night. Yum. (YUM, YUM, YUM). Serve it with mashed potatoes and baked salmon! 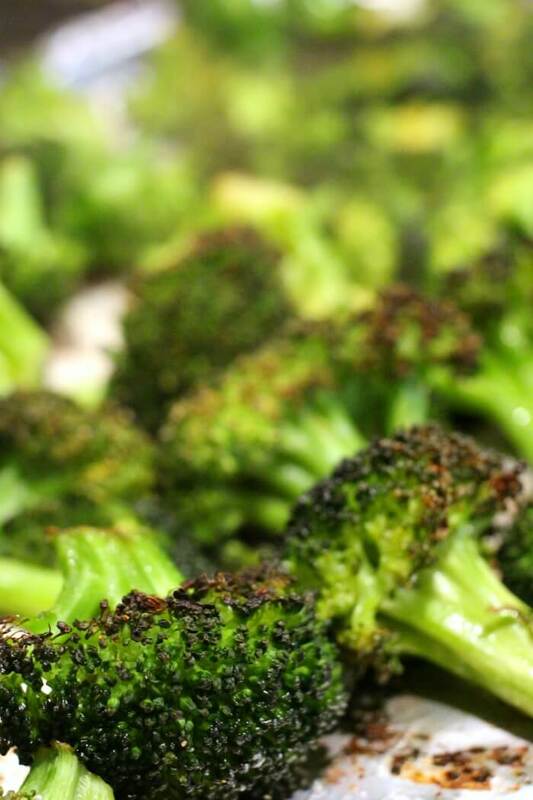 It takes 20 – 30 minutes to roast broccoli at 450 degrees. 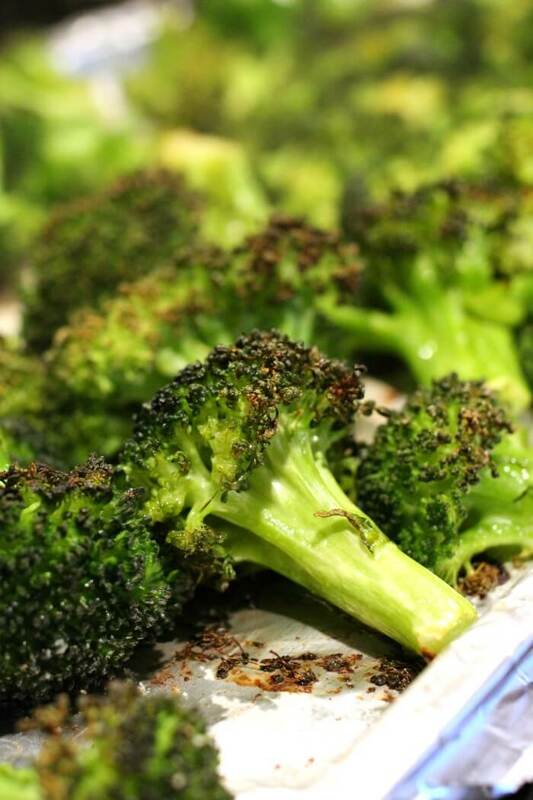 At this time and temperature, your roasted broccoli will be nice and crispy. I like mine super crispy on the edges. 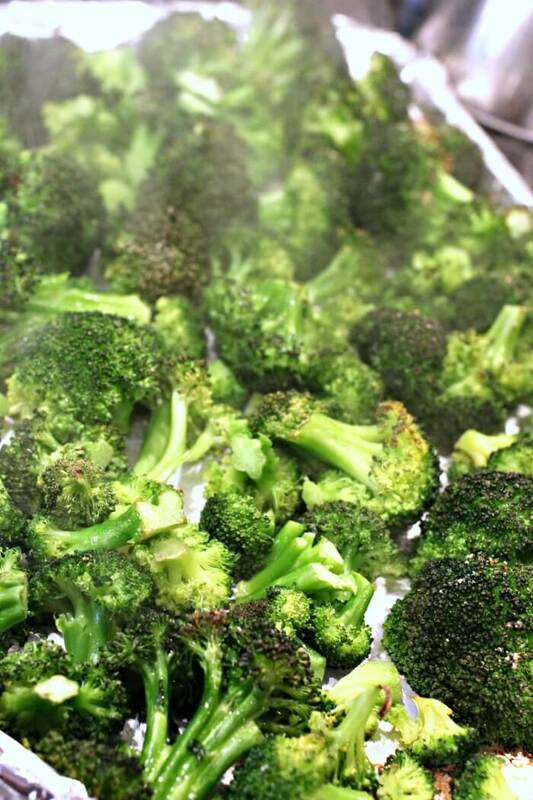 My kids call it french fry broccoli when I roast broccoli in the oven this way! Toss the florets in olive oil until lightly coated. Sprinkle liberally with garlic salt and not quite so liberally with pepper. Roast in a single layer on a baking sheet at 450 degrees for 10 minutes. Stir and roast for 10 minutes more. Repeat as needed. It's done when the floret "leaves" start to look brown and crispy. Loved this so much, thanks for the recipe. Perfect for healthy eating! My daughter really likes dishes made of broccoli. Thanks for this delicious recipe. 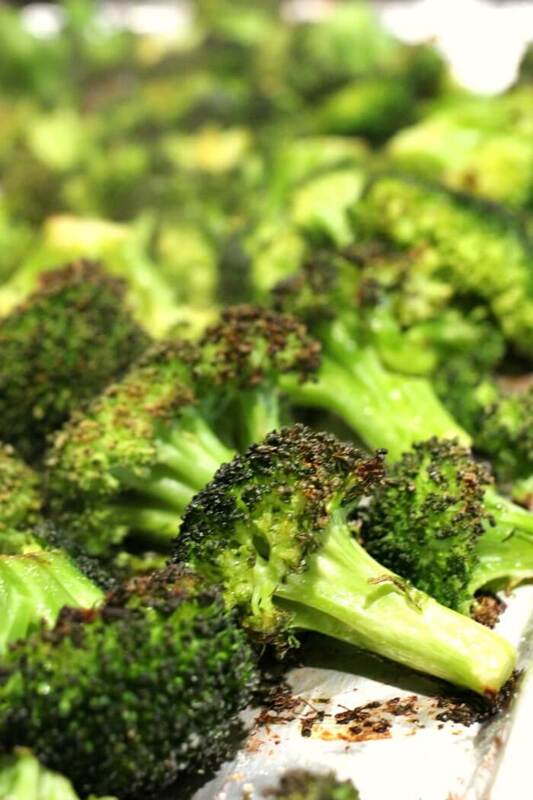 We never tire of this crazy easy roasted broccoli! it’s such a great side dish for everything we make! YUM! 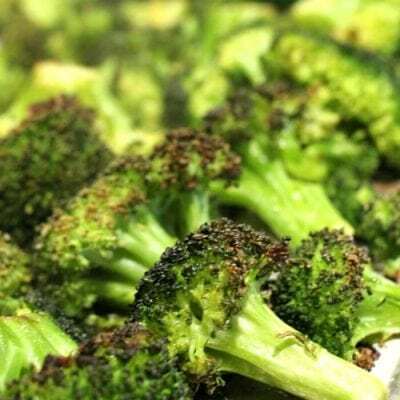 I love roasted broccoli, this is so yummy! 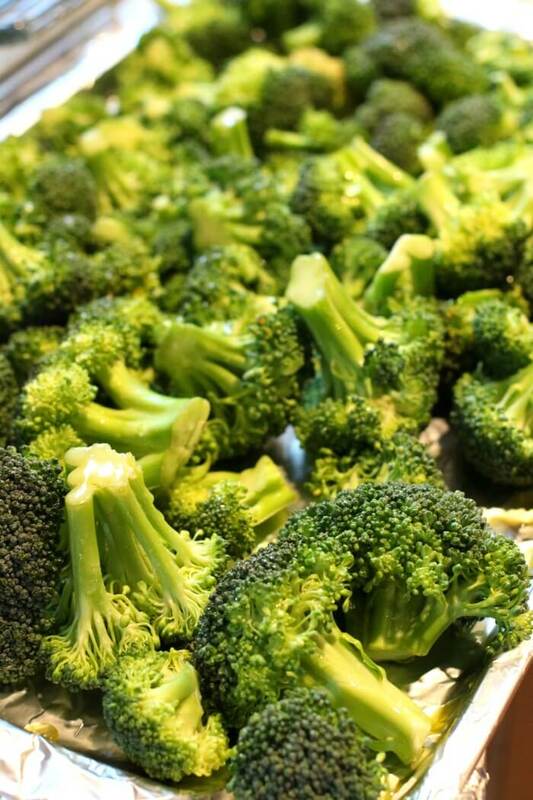 This broccoli is easy to make and delicious. I sprinkle shredded parmesan cheese on top when I remove it from the oven. Thanks for the recipe.